VIDEO: Gerphil Flores' performance of "Love Story (Where Do I Begin?)" in semifinals of Asia's Got Talent - Balita Boss! Gerphil Geraldine Flores sang "Love Story (Where Do I Begin? )," a popular song published in 1970, with music by Francis Lai and lyrics by Carl Sigman, in the semifinals of "Asia's Got Talent" April 23 episode. Again, she received a standing ovation from all four of the judges. 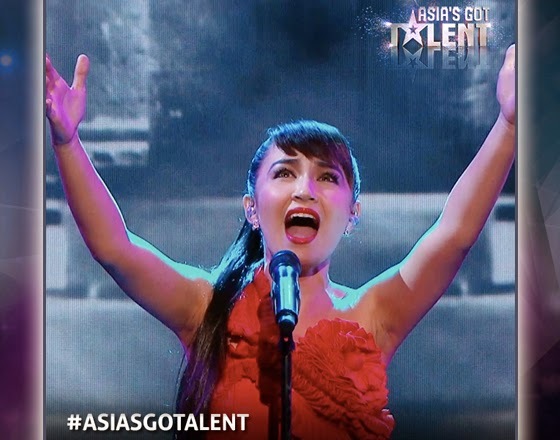 Flores went straight to the semifinals of "Asia's Got Talent" after Grammy-winning composer David Foster pressed the "golden buzzer" during her audition on talent show.